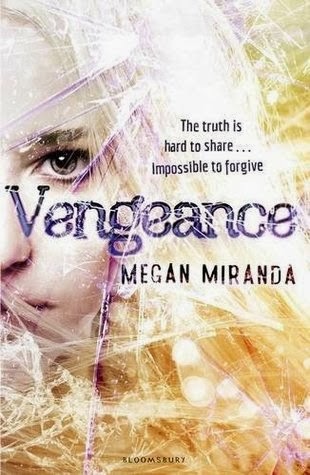 Vengeance is the follow up to 2011's Fracture and, as such, this review contains some spoilers for the original title. You can read our review of Fracture here and if you haven't read the book already, you really should. Then come back. About six months have passed since Decker hauled his best friend, Delaney, from the icy depths of Falcon Lake. Six months since the eleven minutes that she was technically dead and six months since she miraculously awoke, the same but also terribly different. Now more than friends, Decker and Delaney seem to have come to terms with the ability afforded to Delaney by her damaged brain - the ability to sense imminent death. But there seems to be a lot of imminent death around. Still reeling from the loss of close friend Carson, when Decker's father then dies his grief takes his mind down murky paths. Did he, by saving Delaney, cheat death? And are people now dying in her place? At the heart of his fears, and those of an increasingly unhappy town, lies Falcon Lake - a flat, dead expanse even in the height of summer. Is it possible that it carries within its depths a curse, a secret, an end? While Fracture was told from Delaney's point of view, Vengeance has moved to Decker's perspective. In the previous book, Decker fought to remain by the side of an increasingly erratic Delaney and while he didn't always manage to do the right thing, he came across as a loyal, kind and concerned friend. In Vengeance, he and Delaney have made the inevitable move into a relationship and seem, at first, to be happy. However, even before the death of his father it is clear that Decker is carrying around a lot of issues. He remains overwhelmed with guilt regarding Delaney's accident, something which she struggles to understand believing, as she does, that he saved her. This guilt feeds directly into his grief when his father dies. He realises that Delaney must have been aware of his dad's imminent demise, an awareness caused by an accident which Decker truly thinks is his own fault and so he is thrown into a whirlwind of anger, confusion, loss and suspicion. When odd things start to occur it is easy to see why Decker makes connections between them and recent events but what is never clear is whether he is right or wrong. He becomes a character that readers can totally inhabit, being carried along by his fear until it is almost impossible to understand what is happening, other than it is deeply disturbing. As in Fracture, Megan Miranda has made Delaney pretty ambiguous. She's still a likeable character and one who has now been embraced once more by the friends who seemed to keep their distance after her accident but she is also distant, often seeming to exist more in her own head than in the real world. She can, at times, seem very compassionate. She clearly loves Decker and her friendship with new girl Maya - a girl who seems to have her fair share of problems - shows a caring nature. But she has also learnt to turn this into a cool, almost cruel, logic when necessary. She is able to place walls around herself - sometimes out of self-preservation, sometimes out of her need to protect those around her from the truth. Her relationship with Decker is fascinating to read and it's hard to tell how healthy they really are for each other, even as you root for them to succeed. 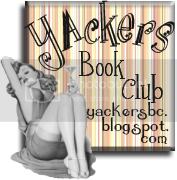 The book's other characters are all well written with the embittered Janna and strange Maya being particularly compelling. If there is a character that stands head and shoulders above the rest, however, it has to be Falcon Lake itself. It touches every aspect of the story, looming in the background as reminder of all that has been lost and all that has been irrevocably changed. The fact that it is so very frightening is down entirely to Miranda's clever writing. The plot of Vengeance is very different to that of Fracture and, at it's most basic, is a story of guilt, grief and divided loyalties. Yet, within this, Miranda has written a classic ghost story - classic in that it's all about what you (and the characters) don't see and don't know. Her use of imagery is extremely accomplished, to the point where water - any water - becomes chokingly eerie. Yet, as with Fracture, it would be a mistake to consider Vengeance a paranormal tale. In Fracture it was made repeatedly clear that Delaney's ability was due to brain damage, with Miranda wielding science instead of heebie-jeebies. Here, she has wields psychology in a similar way. While Fracture benefited from a slightly stronger premise than Vengeance, the story here plays believably on the repercussions - although Maya's part in it sometimes stretches credulity a little. But that's a small part of an ultimately compelling whole. Fracture was one of the stand-out books of 2011, a title that was refreshingly different even as it seemed to be offering up familiar fare and Vengeance is just as enjoyable. Great characterisation, unclear motivations and a storyline that drips menace into ever corner will leave readers with much to ponder in terms of what, exactly, is the more frightening - the everyday or the ghostly. We've used the US cover to illustrate this review, primarily because it isn't as girly as the UK one (above right) and Vengeance is not a girly book. Additionally, the US cover is relevant to the story. More shame on the Powers That Be in the UK who decided to stick on a cover that will appeal primarily to only female readers not to mention one that is frankly nonsensical - it's a bit of a lost opportunity. Instead, I highly recommend it to ALL readers, particularly fans of Stephen King, Kimberly Derting and Carrie Ryan - grab a copy and prepared to be chilled. This review was brought to you by Splendibird. 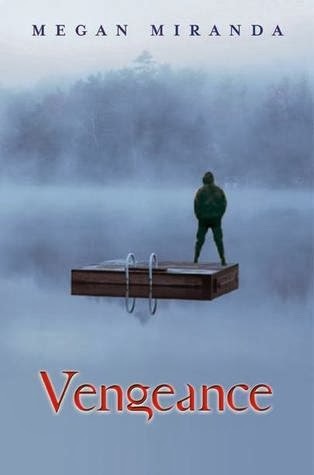 Vengeance will be published on 13th February 2014 and should be added to all wish lists immediately. Actually, just go and pre-order it now. 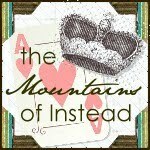 Thank you to Bloomsbury and NetGalley for providing us with this title to review. And we like all your other covers. Honest.